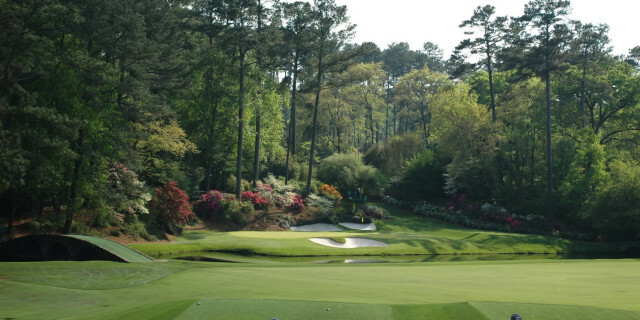 Played at the same venue each year, the Masters possesses a unique relationship within the minds of golfers. When April comes around, we are reacquainted with Augusta National, recalling moments of the past, and watch the game's best players attempting to claim a small piece of that rich history. We know the holes, have witnessed both greatness and the perilous disaster that lurks behind the beauty, and this deep knowledge delivers a connection to the event unlike any other. For those of us in the UK & Ireland, the Masters traditionally coincides with the beginning of the golf season. The clocks have sprung forward, our courses are fully open, and watching the drama unfold at night on TV is just the added inspiration we need for the months ahead. Many have grown up watching the annual quest for the green jacket, an experience once relished alongside a parent or grandparent, and now a viewing that they share with their own children. To capture a little bit of the special imagination that people have with Augusta, we asked members of the Golfshake team, including several of our ambassadors, to delve back into their memories and recall some of the tournaments, shots, and triumphs that have defined their lifetime of watching the Masters. Thanks to Derek Clements, Alex Picken, Matt Holbrook, Robert Cross, Mel Davies, Kevin Paver, Richard Moore, Andy Picken and Ethan Davies for their comments. Unsurprisingly, the earliest recollections have often coincided with victories for British players, notably the successes of Sandy Lyle, Nick Faldo and Ian Woosnam. For Mel Davies, 30 years on, Faldo's dramatic victory remains indelible. “My first Masters memory was my childhood hero Nick Faldo’s first win there in 1989 in the play-off over Scott Hoch." 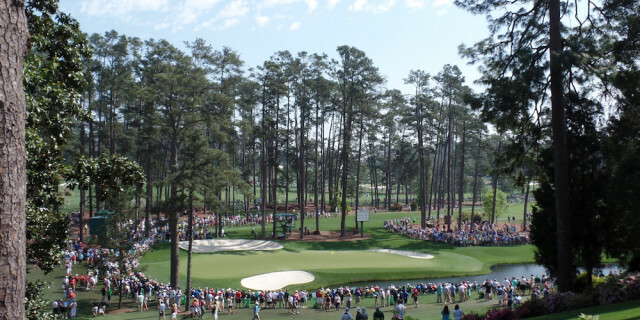 When Lyle became the first British player to win at Augusta, there were late nights for millions watching at home, and Golfshake's Andy Picken was just one of them, having the image of Sandy's famous bunker shot on the 18th ingrained within his mind. "Watching Sandy hit the bunker shot up the 18th to win. Brilliant. I was on early the next day, so managed around three hours sleep but well worth it." Likewise, Richard Moore recalls a sleep deprived aftermath following Ian Woosnam's punch of the air celebration in 1991. "When Woosie won, I was set for my first job interview on the Monday after graduating, so I stayed overnight. Got to the pub the night before just as that winning putt went in!" The 1996 Masters is remembered for Greg Norman squandering a six-shot lead to an inspired Faldo, who meticulously picked apart the course and the nerves of the Australian during an extraordinary Sunday. That was an unforgettable day for both Golfshake's Digital & Video Editor Kevin Paver and Ambassador Robert Cross. "I think the first one I remember watching was probably 96," reflects Kevin. "Faldo & Norman paired together on Sunday, with Norman being six shots clear and looking like the Green Jacket was a done deal. Through seven holes Norman still had a four-shot lead, then the wheels really fell off! Faldo claimed the win after a final round 67, while poor old Greg shot a 78!" "Although I wasn't involved at all in golf at the time, aged 15 I vividly remember Greg Norman throwing away that lead allowing Nick Faldo to claim the Green Jacket in 1996," said Rob. "The colours of the course, the yellow flags and the bright green colour sticks in my mind, along with the drama." When it comes to picking out a favourite Masters Tournament, 1996 was a popular choice, an event that reinvigorated Andy's interest playing golf, and thrilled Mel seeing his hero win again. But a decade earlier, Jack Nicklaus produced a second-nine for the ages to roll back the years and complete the most famous of triumphs. It was a legendary finish, something that even resonates with our youngest respondent, Alex Picken. "While it may have been 10 years before I was even born, I feel like I know the story of Jack Nicklaus’ incredible sixth Masters victory better than anyone, mainly due to my Grandad’s brilliant storytelling. Nicklaus had always been my Grandad’s most cherished golfing hero and watching his face light up every time his name came up in conversation (mainly when he himself brought it up) was something I will never forget. After watching the highlights of Nicklaus’ sensational Masters moment in 1986, I can understand why my Grandad got so passionate and excited speaking about the 46-year-old winning that special tournament. From a golfing aspect that tournament defined what it means to never give up on a belief or a dream on a golf course. While from a personal standpoint, hearing the stories of the Golden Bear and this amazing Masters moment in 1986, it naturally takes me back to listening to my Grandad talking about his hero and the joy both of us got from those stories." Alex was 13 when Phil Mickelson won his third Masters, and that was the catalyst for inspiring him to play, a journey that has taken him to participating in college golf over in the United States. "I firmly believe that watching the excitement of the 2010 Masters Tournament planted the seed in my head for my future love of this amazing game of golf." Ethan Davies picked out a Masters that is perhaps underrated, Angel Cabrera's victory a decade ago, which produced an exciting Sunday that restored the roars to Augusta after several quieter years. Matt Holbrook remembers Bubba Watson's remarkable play-off recovery in 2012, but it was hard to beat Danny Willett's moment in 2016 for drama. "That sticks with me the most. There were some fantastic shots over the stretch with drama from Spieth too. Then Westwood was going for the win. Then Willett won. Crazy, exciting stuff." Rob picked out the overdue breakthrough for Australia as his choice. "I really enjoyed Adam Scott winning. Blessed with such un-rewarded talent and a beautiful swing, his victory struck a chord with me because of how much it would have meant to him. First major, won in a dramatic play-off fashion and finally silencing all the questions surrounding his major record. I seldom find myself rooting for specific players, but that week I was for Scotty." From Larry Mize's holed chip on the 11th to win in 1987, Louis Oosthuizen's albatross on the second in 2012, and Sandy Lyle's bunker shot on the 18th, the Masters has a library of great individual moments to review, but most of us come back to what Tiger Woods did on the 16th hole in 2005, which is likely the most shot seen in history, perfectly made for television. Kevin said: "I don't think Nike could have bought a better bit of advertising than the swoosh coming to a stop on the cup before dropping in! Phil Mickelson's daring approach to the 13th from the pine straw in 2010 was another choice, although such adventurous play only yielded a birdie as he missed the eagle putt. Nonetheless, it has become an iconic Masters shot. Recalling the first tournaments, best shots, and favourite events witnessed inspired several other memories from the Golfshake team, who identified some truly memorable images. "There are two that stick in my mind. Like many others, I am not ashamed to admit that I cried when Jose Maria Olazabal won his second Masters in 1999. The Spaniard had been in the depths of despair with a foot injury that nobody seemed to be able to get to the bottom of. Finally, he went to the right consultant, returned to fitness and brought the house down by winning a second Green Jacket. Every year we see Augusta National on television, and the holes have become seared within our brains. Everyone has a favourite, and it was not unexpected to see both the 12th and 13th - perhaps the two most striking and intriguing on the course - being frequently mentioned by the team. Amen Corner and the par fives tend to grab the headlines, but the finishing hole is an ominous challenge, and both Mel and Matt identified that as being their favourite to watch, seeing the winner taking that walk up the hill and crowned as champion. But the final word goes to Kevin Paver, who says: "I love them all! I just LOVE Masters week. I think it's the only event I watch every bit of coverage from the very first bit of red button action!" So, there you have it. The Greatest Masters Memories on Golfshake. What are yours? Hopefully this has sprinkled just an extra bit of inspiration and excitement for the week ahead. There is nothing else quite like Augusta.